This weekend Ray and I got to actually sit down together and watch a “chic flic” together, the 2009 movie Not Easily Broken , a T.D. Jakes, Christian film. I got everything ready, the buttered popcorn, a bit of chocolate, and the cold drinks, then dragged asked Ray to come into the den to watch it with me. Chic flics aren’t Ray’s usual taste in movies (he prefers less romantic, tame stuff, like cars and people getting blown to pieces, gaping wounds, near-fatal jungle adventures, loud war scenes with plenty of machine guns, tanks, and fast helicopters, and similar horrible things, which just give me bad dreams and which stir Ray’s blood). 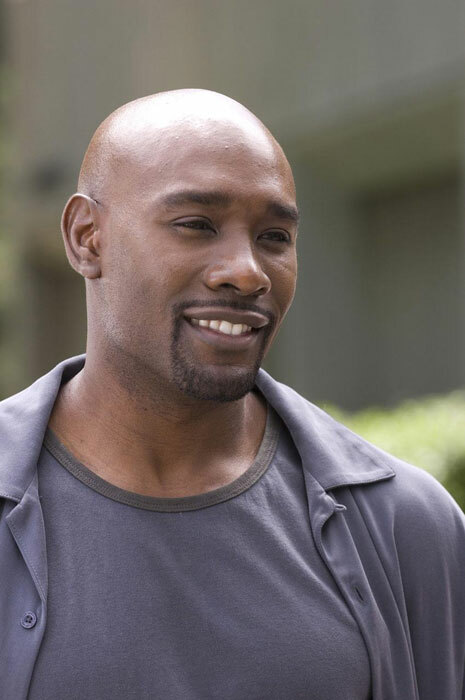 Not Easily Broken is the troubled marriage story of small business owner Dave Johnson (Morris Chestnut) and on-her-way-up-the-ladder-of-success realtor Clarice Johnson (Taraji P. Henson). Their marriage is already on shaky ground from Dave spending a lot of time away from home, coaching teen boys and playing basketball with friends, and from Clarice’s intense focus on her career. One night during a bad argument in the car, they get into a serious wreck (probably the only part that interested Ray), and Clarice’s leg is badly broken. Clarice’s blatant disrespect of Dave, the constant strife, and Clarice’s interfering mama (Jenifer Lewis) are contributing factors for Dave’s growing apathy about the marriage and his wanting to just give up – and over time, he begins to feel drawn emotionally to Clarice’s physical therapist, Julie Sawyer (Maeve Quinlan). Julie is a compassionate, sweet, single mom in need of “rescue,” especially after her only son Bryson (Cannon Jay) dies suddenly and tragically in a swimming competition accident. Though one person may be overpowered by another, two people can resist one opponent. A triple-braided rope (a three stranded cord) is not easily broken. As Dave’s and Clarice’s pastor tells them at their wedding ceremony, symbollically wrapping a three-stranded cord around their necks, one cord represents Dave, one represents Clarice, but the third one is to represent God. At the end of the movie, after a lot of pain, self-examination, and repentance on both spouses’ parts – with Dave wisely realizing he shouldn’t have an affair with Julie (a pretty close call!) and Clarice recognizing she needed to love her husband, honor him, and to forgive him, their marriage was salvaged. They would make God the third cord. He’d been absent a long time from their marriage. The movie had some good lessons for families (although there is some bad language in it), and the producers and writers did an excellent job using a male’s point of view – especially how men are to be strong role models and leaders for their wives, children, and others. What about your marriage? Is God the third cord? Today take some time to pray about your marriage, for God to bless it and preserve it. Ask God to be that third cord. ← Do you want to walk in your God-given purpose? My first webinar! How awesome! It was a great movie! Great post, Beth. You know, we had this verse on our wedding invitations. This was a wonderful reminder – thank you!